According to the U.S. Administration on Aging, the number of United States residents older than 65 in 2009 numbered 39.6 million, representing about 1 in every 8 Americans. With ever-decreasing death rates, this population is expected to swell to 72.1 million people by 2030, representing almost 1 in 4 Americans. As a population in transition that is experiencing a decrease social support as they age, older Americans are particularly susceptible to mental health concerns such as depression, substance abuse and suicide. Despite this, research shows that those in the mental health profession are grossly under-prepared to work with elderly populations, and the law still excludes several mental health professions from offering services to Medicare recipients. The NIU Counseling Association will tackle these issues head at 6 p.m. Tuesday, April 8, as it welcomes alumnus Donna Kirkpatrick Pinson to speak on the major issues facing counselors who work with older populations. Free and open to all, the one-hour workshop will take place in Room 146 of Gabel Hall. People entering the mental health, allied health, nursing and education professions will find it invaluable. Pinson will address the prevalence of depression, substance abuse and suicidality in older people. She will discuss medical co-morbidity and how difficult life transitions affect clients and their families. 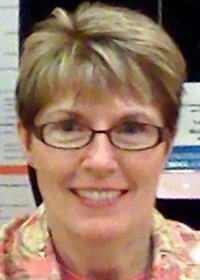 Pinson currently serves as the president of the Illinois Association for Adult Development and Aging, a division of the Illinois Counseling Association. She is also assistant professor of Counseling and Human Services at National Louis University. Prior to this appointment, she served as adjunct faculty in the NIU counseling program and as a professional school counselor at Byron Middle School. Her research interests include mental health challenges faced by older populations as well as people with disabilities. One Continuing Education Unit will be provided through the National Board for Certified Counselors. The Northern Illinois University counseling program is an NBCC-approved Continuing Education Provider (ACEP) and can offer NBCC-approved clock hours for events that meet NBCC requirements. The ACEP solely is responsible for all aspects of the program.